DCA students, don’t miss this great opportunity to not only receive critical feedback on your work but to also meet other students and professionals in the local design community. Click here for reviewer bios. Register Now as there is limited room and the fee doubles at the door. The AIGA Student Portfolio Review is a day-long event designed to give students­­—about to embark on a career in the design industry—a dvice on how to present themselves and their work. This prestigious event brings together over 50 industry professionals with 100 AIGA student members for the purpose of portfolio review. 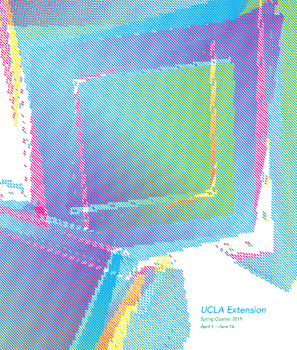 Students receive thoughtful, constructive, one-on-one evaluation of their work by an array of design professionals—art directors, senior designers, educators, and hiring managers—from the greater Los Angeles area. The goal is to offer candid advice about student portfolios based on professional experience.